As per various reports in the mainstream news media, the government may double the income tax exemption threshold for the salaried from Rs 2.5 lakh currently to Rs 5 lakh and reinstate tax-free status for medical expenses and transport allowance. 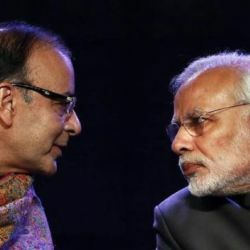 Last November, the finance ministry had set up a six-member task force to rewrite the over 50-year-old Income Tax laws in line with the norms prevalent in other countries, incorporating international best practices while keeping in mind the economic needs of the country. The new Direct Tax Code will reportedly try to bring more assessees into the tax net, make the system more equitable for different classes of taxpayers, make businesses more competitive by lowering the corporate tax rate and phase out the remaining tax exemptions that lead to litigation. While tax exemptions are a key demand, the industry chambers have recommended tinkering with tax slabs, too. The CII, in its pre-Budget recommendations, suggested lowering the highest personal income tax slab to 25% from 30% at present. On the other hand, FICCI's wishlist includes a revision in the tax slabs for the individual taxpayers with the top 30% rate applicable only beyond Rs 20 lakh annual income.